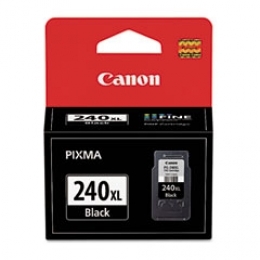 Description: Canon PG-240XL Black Ink Cartridge, Canon 5206B001. It weighs 0.05 lbs. The PIXMA series of Canon printers is excellent, and the ink cartridge for this series (240XL) shows promise as a consistent performer. Canon has designed the printer (in this case, a model MG4120) intelligently, with easy access to the cartridge carriage and quick and hassle-free cartridge replacement.